Date: Wednesday, 19th August 1970. Venue: White Hart Lane, North London. Score: Tottenham Hotspur 0 Leeds United 2. Scorers: Tottenham Hotspur: Nil. 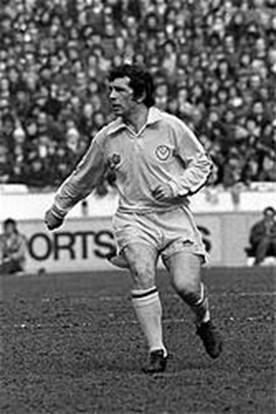 Leeds United: E. Gray, Giles. 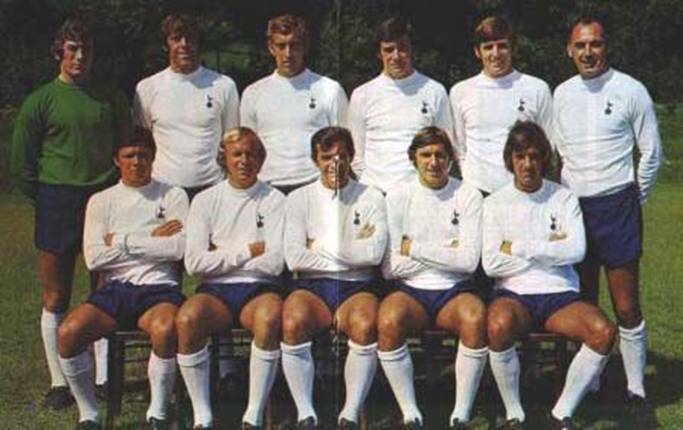 Tottenham Hotspur: Jennings; Evans, Knowles; Mullery, England, Collins; Gilzean, Perryman, Chivers, Peters, Pearce. 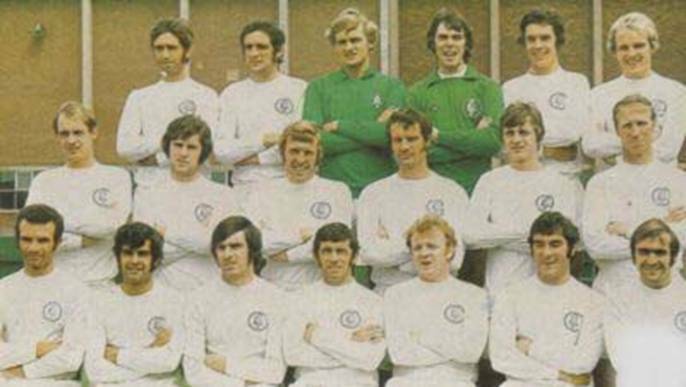 Leeds United: Sprake; Madeley, Cooper; Bremner, Charlton, Hunter; Lorimer, Clarke, Jones, Giles, E. Gray. After beating Manchester United at Old Trafford on the opening day of the season the fixture list had made United go to White Hart Lane to play another strong team, Tottenham Hotspur, just four days later. The battle in midfield was full of top-class players, so much so, that neither team was able to achieve complete mastery in this department. Spurs almost got off to a flying start, when Jimmy Pearce crossed the ball for Alan Mullery to send a header just wide of a post, in the opening minutes of the game. But half-an-hour went by without either side carving open their opponent’s defensive cover. Indeed, it said much for the grip that defenders had upon the strikers, when it was Johnny Giles, the midfield general, who put in United’s first telling effort, a shot that skimmed just wide. Once again, just before half-time, Johnny Giles was the instigator of a move which threatened danger for Spurs, when he crossed a ball to Peter Lorimer, who headed it into the goalmouth. Scenting the menace, Mike England threw himself at the ball, and headed over the line to give Leeds their first corner of the game. Half-time came and there was still no score. 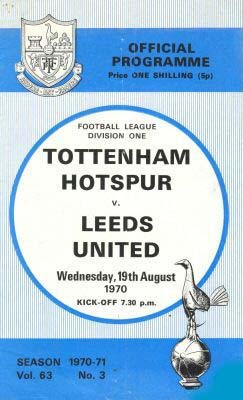 Soon after the restart Ray Evans and Alan Gilzean went close to opening the Spurs account, but with the game just over fifty minutes old, it was Leeds that broke the deadlock. Eddie Gray, who was always a menace to Gary Evans, got the ball into the net. 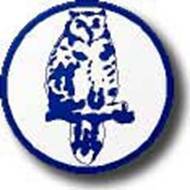 It was a fortunate goal, as Gray hammered a left-foot drive past Gary Evans and Mike England, and it hit a post before rebounding over the line and into the net. 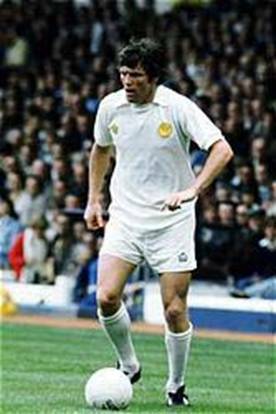 It had begun with a Mick Jones- Billy Bremner move, after the centre-forward had pulled down a cross and sent the ball to Bremner, who slipped the ball to Eddie Gray. Just inside seventy minutes the Spurs supporters were ready to acclaim an equaliser, when they thought that Jack Charlton had handled the ball. Jimmy Pearce had sent in a cross from the right wing, and Alan Mullery raced in on Jack Charlton’s blind side to claim possession of the ball. When the ball hit Jack Charlton’s hand Mullery did not hesitate, he caught the ball and placed it on the penalty spot. However the referee had noticed a push on Jack Charlton and gave a free-kick to Leeds. Less than ten minutes later Leeds punished Spurs again, when England made a rather aimless clearance, Johnny Giles beat everyone to the ball. The little Irishman looked up, picked his spot, and slammed the ball past Pat Jennings from just inside the eighteen yard box. So Leeds returned to Elland Road having beaten Tottenham Hotspur and Manchester United away from home and in the process had recorded their first win at White Hart Lane in seven First Division visits. Front row: Steve Perryman, Phil Beal, Alan Mullery, Ray Evans, Roger Morgan. Middle Row: John Faulkner, Chris Galvin, Mick Jones, Paul Madeley, Alan Clarke, Jack Charlton.